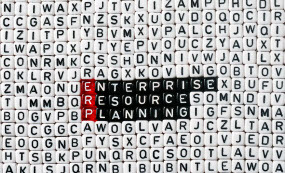 It seems that everyone is talking about ERP solutions these days. And rightfully so – a growing number of companies are embracing their powerful potential in new and exciting ways for their business. As a long-time finance leader eternally focused on solutions, I’m often asked the same question: “Which ERP system is the best?” For this, there’s no quick and easy answer. Choosing the best ERP system isn’t simply a matter of comparing features and offerings of different vendors. It’s a matter of looking at many different factors and seeing how they best fit your unique organizational needs. Ultimately, your decision is a personal one that requires a fair amount of due diligence. Here, we’ll take a look at some key questions and considerations to help you along. How Is the ERP Landscape Evolving? Signs and signals from industry leaders. Recent decisions from major industry players signify that SaaS solutions are here to stay. In the past few years, Oracle and SAP have modified their product offerings by building full-blown SaaS solutions from the ground up. Additionally, industry consolidation, such as Oracle’s decision to purchase competitors like NetSuite, is yet another indication that the company is fully committed to the cloud. Changing customer mentality. On-premise systems were once widely perceived to be the safest, most reliable way to support an organization’s mission-critical functions. But as those on-prem systems age, they require upgrades that call for costly and time-consuming IT support. As such, more businesses have been quicker to adopt cloud-based solutions that offer a more agile, efficient way to store their information. The impact on IT teams. With the widespread adoption of SaaS models, IT teams are not needed as much as they were when they supported on-premise solutions. In the SaaS world, system upgrades are simply delivered as part of a monthly or quarterly software service package – meaning businesses no longer need to hire large IT teams to oversee the system and support upgrades. That said, I’d suggest that IT still provides some support for implementation and ongoing, particularly if your system is complex and/or integrated with other systems. Balance personal biases with due diligence. With ERP solutions on your radar, you’re likely to have some preconceived notions about vendors. Oracle, for example, is perhaps the most widely known name — but does that make it the best choice for your particular organization? Not necessarily. Keep in mind, vendor selection is based upon a combination of factors that vary greatly from one company, or one industry, to the next. Vendor familiarity may be a good starting point in the discovery phase of your selection process – but be careful not to make it the sole driver of your decision. Compare general software to industry-specific software. Many vendors build flexible ERP systems that work across multiple industries. These software packages are highly modular, allowing companies to support their needs through various software options and add-ons. Other vendors focus on more specialized systems that are purposefully built for specific industries. Know the pros and cons of both options – for example, you may get better support from a vendor with a more generalized product, but an industry-specific package may offer extremely rich and targeted features. Do you need it to integrate with existing systems? Not all companies are looking to entirely replace their existing systems. In fact, an increasing number of businesses are looking for ways to integrate ERP software with existing systems that are already meeting their needs. Let’s assume your organization has a solid HR system in place, but needs to implement a new accounting system. You’ll want to be sure you explore the options that allow you to integrate the two systems without causing problems or duplicated efforts for your business. Be sure to question upfront what you’d like to keep, and what you’d like to change. Are vendors investing R&D? How often does the ERP vendor perform upgrades? For instance, an industry-specific system may offer robust functions — but will the vendor have the financial ability to keep up when that technology lags? Keep in mind that younger companies and SaaS vendors who develop solutions from the ground up may need to provide more frequent upgrades and iterations for the software that you may rely on – so be sure you get a sense of how committed they are to investing in emerging updates and technologies. Does the size of your company impact your ERP needs? If you’re a smaller company with simplified needs, you may not need all the bells and whistles that are offered in a more comprehensive software bundle. Are your needs better met with a basic package than a feature-rich system? Find a solution that allows you to pay only for what you need, keeping in mind that you may be able to expand down the road with software add-ons. This may help you rule out certain vendors who are known to design software features (i.e., batch processing) that are typically better suited for large-scale organizations. What are your reporting needs? At the end of the day, your ERP system is only a good as the data you can draw from it – and consequently, the business decisions you make that based on that data. That’s why evaluating your reporting needs upfront is essential. Start by assessing your financial versus operational reporting needs. Do you need powerful, feature-rich financial reports? Or are you making key operational decisions based on, say, inventory tracking reports? That’s not to say you can’t find a software system the supports both; however, I’ve found that ERP software may be better at one than the other. Given the range of company-specific considerations and factors that go into your decision, it’s easy to see that there truly is no one-size-fits-all ERP solution – and no quick answer to “which system is best.” While this blog covers key factors that will help you start assessing your needs, stay tuned for Part 2 for an actionable, step-by-step plan that walks you through the selection process. And remember, for questions or additional guidance, we’re happy to help you along – you can set up a free consultation at any time by contacting us below. Michael has over 20 years of diverse financial and operational leadership experience, including positions as CFO and VP of Operations of multiple technology and ecommerce companies spanning several ownership structures including VC, international parent companies and angel investors. Most recently, Michael was the CFO of PeopleMatter, where he was instrumental in fund raising efforts, the implemention of a new Financial system and the purchase of an integrated supplier. Early in his career, Michael was a manager of financial analysis at Brylane, a subsidiary of Pinault-Printemps-Redoute. Michael is a CPA, holds a Bachelor’s of Science in Accounting from Indiana University Northwest and an MBA from the Kellogg School of Management at Northwestern University.